AGRI-MOSS enhances crop performance growth, vigor, yield, quality. It is very useful in plant’s fertility and reproduction process. It improves anti-stress effect. Agri-moss is a product of natural origin for the balanced nutrition of plants, which can be used as foliar spray. Agri-moss is water soluble and non-toxic to plants, animals and human beings. 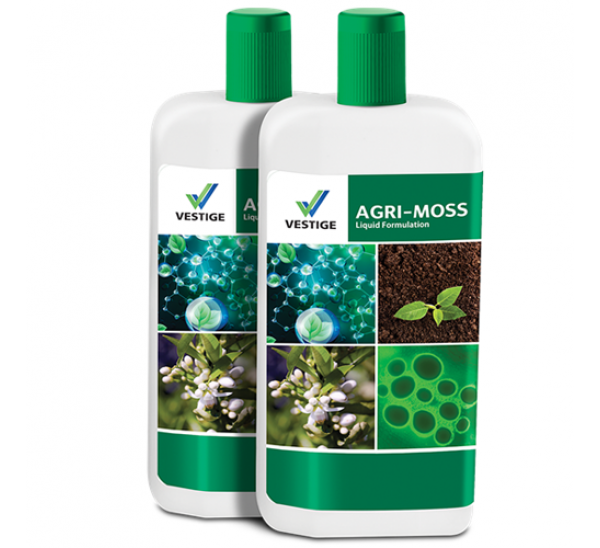 Vestige AGRI-HUMIC Vestige AGRI-HUMIC AGRI-HUMIC is a concentrate of Humic substances. 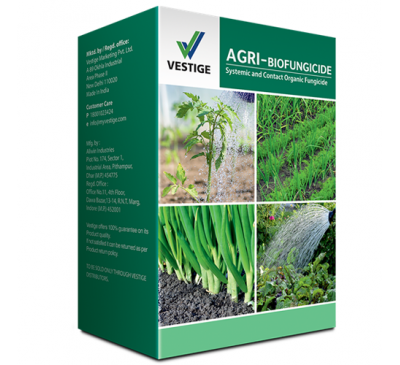 It is a p..
Vestige Agri 82 Vestige Agri 82 is a highly concentrated non ionic spray adjuvant with 82% activ..
Vestige Agri BIOFUNGICIDE Agri-Biofungicide is a unique formulation of systemic and con..
Vestige Agri NANOTEK Development of agriculture sector is only possible by increasing the reso..
Vestige Agri GOLD A plant growth regulator that can infiltrate to the body of plant rapidly an..